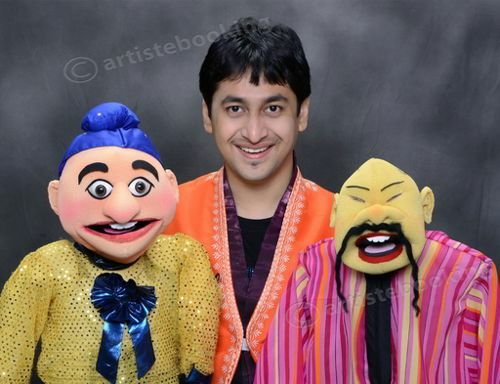 Satyajit Padhye is an Indian ventriloquist, Puppeteer and puppet maker and third generation ventriloquist. He was born on May 5, 1983 in Mumbai, India to Ramdas Padhye and his wife Aparna. Padhye was born on May 5, 1983 in Mumbai, India. 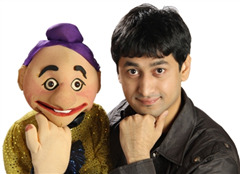 His brother Parikshit is also a Puppeteer and Ventriloquist. His mother appeared on national Television in the 80's and 90's. She has a Masters degree in Maharathi literature and is herself a Puppeteer and ventriloquist in skits with her husband. His father Ramdas Padhye includes his son in various stage and plays and his grandfathers was Y.K. Padhye a pioneering ventriloquist who popularized this form of entertainment in India. Ramdas took over from him and brought the art to the masses through television. Satyajit is from R.A. Podar College of Commerce and Economics, Matunga where he took part in the Youth Festival and Malhar. He has won several prizes in inter-collegiate events using his skills. He made a Professional Quality Puppet called “Rapster” as Mascot for RAPPORT 2003, an annual college festival which was the anchor for various events in the festival. Padhye began working life as a Chartered Accountant. Padhye is known for his youth-targeted humor. At 13, he was assistant to his father for the play Good Night Baby Dino (1993), directed by advertising man Bharat Dabholkar. He also was a lead puppeteer in another play called "Hats Off"(1997) which gave him lot of scope with different puppetry techniques. Since then, he and his father have worked together on number of projects, including various television series, films (Dil Hai Tumhaara), plays, music videos (Maine Payal Hain Chhankai), and television advertisements. He did a TV series for Disney Channel as well as for Singapore T.V-12 for which he was one of the lead puppeteers. 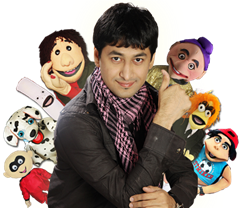 Satyajit is also one of the Lead Puppeteer for the Celebrity Puppet Show “Juicy Pammi” on ZOOM Channel where he handled the puppet of main anchor "Juicy Pammi" besides operating different celebrity puppets. He has also assisted his dad for an international advertisement on a Dutch T.V. Network. Satyajit Padhye was a finalist in India's Got Talent, a popular reality show on Colors in India In the main auditions he performed an act with a double-headed politician puppet. The judges Shekhar Kapur, Kirron Kher and Sonali Bendre praised him for his performance. 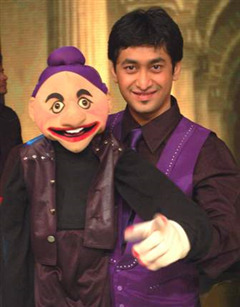 Ventriloquist Satyajit Padhye with puppet Chotu Singh was invited to join Kaun Banega Crorepati Season 5. The episode no.37 started with Amitabh Bachchan's introduction of various art forms and how they are being neglected in the bright lights of technology. He then welcomed Padhye and his puppet friend to entertain the audience. When Bachchan asked Chotu Singh what he would do if he won the prize money, he replied that he would simply relax for his entire lifetime. The puppet also interacted with the rollover contestant Dropadi Chandnani from Bhopal. Why Book Satyajit Padhye Through ArtiseBooking?